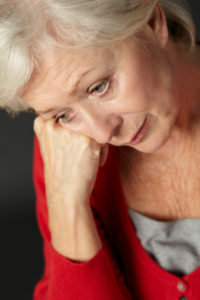 Looking for foods that help depression? Try eating more fish. As a Pacific Northwesterner, I am surrounded by good seafood. Fish is one of my family’s favorite foods, and we have a variety of family recipes to cook up everything from fresh salmon to crab. Whenever I think of making a healthy meal, the first thing that comes to mind is a dinner featuring fish as the main dish. Whether its salmon on the barbecue, halibut with capers in a saucepan, or a baked filet crusted in almond meal, it’s easy to make a super-healthy meal out of a variety of types of fish. And the health benefits of doing so are incredible. Why is fish so healthy? One of the many reasons is that it’s one of the best foods that help depression. One of the best things you can do for your brain health is to get more omega 3s in your diet. These healthy fats, which are abundant in fish, have long been implicated in depression. 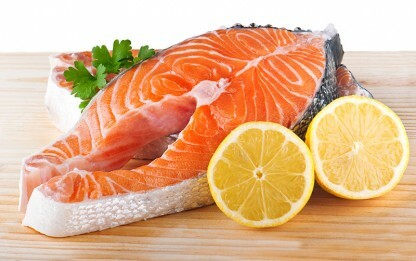 Fish is also a major component of the Mediterranean diet, which is an effective diet for preventing depression. Read more about the link between depressive symptoms and the Mediterranean diet here. But will simply eating more fish really help you fight off depression? Researchers say yes. The Journal of Epidemiology & Community Health published a study in September 2015 that looked at the association between fish consumption and depression risk. The meta-analysis included data from 26 studies and more than 150,000 participants. People who ate the most fish were 17 percent less likely to have depression compared to those who ate the least. When the researchers looked at the effects specific to gender, the effects of fish consumption remained consistent, but the relationship was stronger in men. High fish consumption was associated with a 20 percent lower risk in men, and 16 percent lower risk in women. Why Is Fish So Good for Depression? As mentioned earlier, increasing omega-3 intake is believed to be an important strategy to help protect against depression. And one of the best ways to get more omega-3 in your diet is by eating more fish. Omega 3s are important for the proper structure of membranes in the brain, as well as in the transmission of the neurotransmitters serotonin and dopamine. Healthy function of both of these neurotransmitters is important for keeping the brain healthy and preventing symptoms of depression. Incorporating more fish into your diet will not only help protect against depression, but it will also be good for your heart, prevent inflammation, and more. Try eating fish twice per week for maximum benefit. One major consideration you’ll need to be aware of when eating fish is mercury contamination. For a guide on safe fish consumption, read more in Fish Low in Mercury Provide the Health Benefits of Seafood Without the Risks. Do you eat fish? What health benefits have you experienced by doing so? Share your favorite ways to prepare fish in the comments section below. According to the Washington State Department Health, the following types of fish have omega-3 levels above 500mg per three ounces. These varieties have been separated into two groups according to their mercury levels. brain, brain health, cardiovascular, children, depression, depressive symptoms, diet, dopamine, for depression, health, healthy fats, how do i know if i have mercury poisoning, immune system, inflammation, mediterranean diet, mercury, omega 3, omega 3s, serotonin, serotonin and dopamine, symptoms of depression, the mediterranean diet.